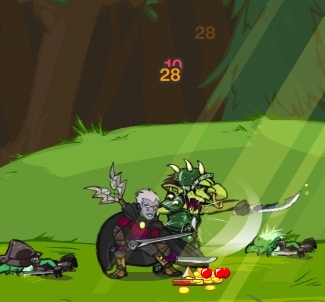 Dungeon Blitz is a side-scrolling fantasy action MMO. It is easily accessible from your browser, free-to-play, and continually expanding. Leap fireballs, dodge dragon breath, and vault over chasms in your pursuit of adventure. Dungeon Blitz is a massively-multiplayer game you play here in your browser. 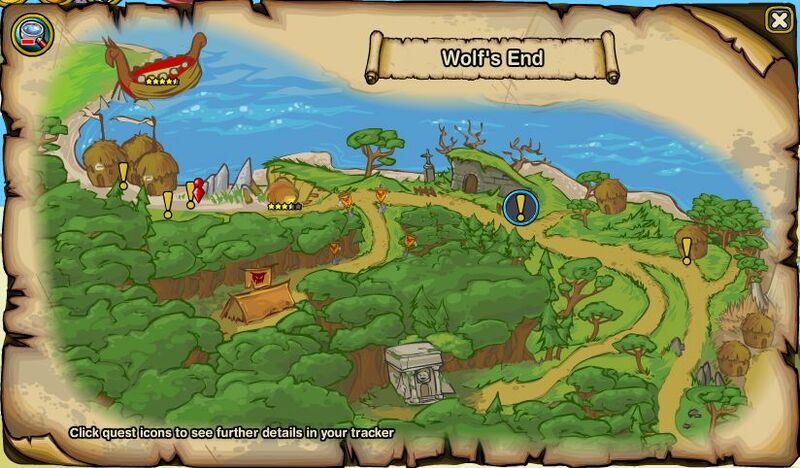 Team-up with friends to explore the lost land of Ellyria, or go it alone. By Blue Mammoth Games is a game development studio based in Atlanta, Georgia. Blue Mammoth's founders previously worked on MMOs like City of Heroes, Champions Online, Global Agenda, and World of Darkness, and created the World of Warcraft community site Arena Junkies. Stalwart and righteous are these champions. Paladins are front line warriors built for taking heavy blows and dealing damage in close quarters. These sword-and-board daredevils can also heal themselves and other heroes. RogueWith guile and blades, Rogues can bring down the largest foes. These agile heroes operate under cloak-and-dagger. They can travel past harm unseen, ambush from the shadows, and disable their enemies. Mages shape the powers of magic to their own ends. These adventurers can bend the elements into projectiles, summon monsters to their bidding, and ensnare with magic those foes they don't choose to burn to ashes. Customize your characters' Hair, Head, Face, Mouth, gender and the colors in between. Level up, collect equipment, make friends and forge gems to enhance your gear. Lots of world to explore and creatures to do battle with. I think Dungeon Blitz has a solid architectural system and could become a respectable mmorpg on the facebook platform which is no simple feet. The combat mechanics are enjoyable and the co-op element is promising. 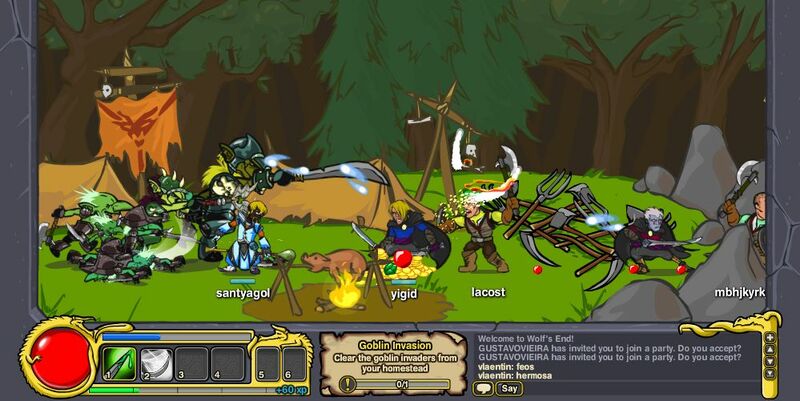 Dungeon Blitz doesn't offer anything unique or of its own, character classes are paladin, rogue or mage, which are the three most basic character classes of all mmorpgs. 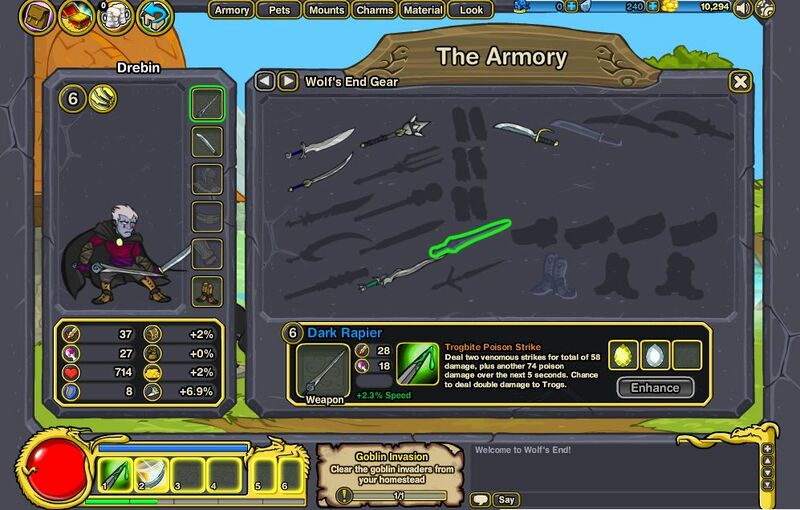 Finish quests, level up and find gear. Where is the hook? Perhaps the developers are planning to start simple, build a system live and progressively add new classes, maps, quests and all that noise on a regular basis. 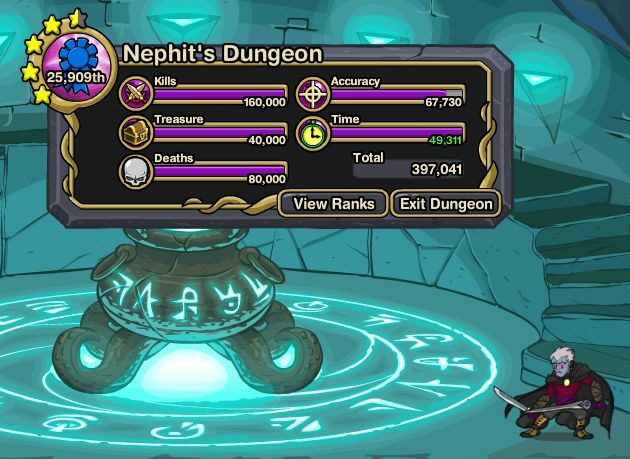 The developers need to vigilantly release new content on a regular basis to expand the game and offer features for every type of player, level range and class in order to keep the Dungeon Blitz world alive and the gaming population growing. If they don't keep up with the demands of today's online gamer and keep the players happy they will quickly find they're game labeled a failure and will require nothing short of a complete overhaul to attempt a come back and see any sort of return on investment. As with most combat oriented MMORPGs I highly recommend forming in-game connections with other strong or up-and-coming players and just buckle down for some experience grinding sessions. Grinding - The single minded goal oriented actions of acquiring the thing you want most and nothing else, no wasting time talking, looting or the brb (Be Right Back), efficient progress at its finest. Note: If your testing out a new comrade and they go afk, or don't pull their weight, kick them from the party and don't look back. Too many people out their want a free ride, joining a team and going to eat a sandwich while everyone else does the work. If you have any tips or tricks that you would like to share leave a comment or message. From what I've played through so far in Dungeon Blitz there haven't been anything that stands out that will attract me to come back, what's the hook? There are far more thoroughly developed games out there and DB has a long ways to go.